How much have you guys spent setting up a new stealth account successfully? I have everything in order, just waiting to get the courage up to start. I don't have much money to put into this stealth thing right now, so from what I have put together, I'm only going to have to pay around $20 for a good fresh and Dedicated IP correct? Anything else I need that involves money? Re: Average Cost of Stealth Acc Setup? What are your cost for Phone, VCC? FYI: If you purchase the annual plan on IPBurger it's under $10 monthly. Last edited by TGMT²; 11-27-2018 at 03:20 PM. It depends... Has your etsy account been a reliable source of icome for you or has it been just a "thing". If it used to be your source of income then investing a bit in a new account shouldn't be the worst idea. If you're a hobbyist then 20 bucks might do the job or maybe you'll need to invest another 20 if you fail. Just getting a Fresh IP isn't enough. You can get that by restarting your router for free. It's cost me roughly £2.50 if I need a VCC. Normally only 50p max as I use a dongle across many accounts so this is a shared cost. In the UK it's very easy to obtain high limits. Easy to go from 10/£650 to 1000/£20,000 in a week. 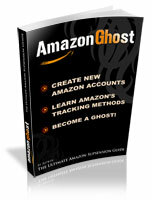 My last few accounts went from 10/£650 to 1000/£20000 with under 10 sales. Most tend to go from 10/£650 to 500/£10,000 very very often. You mean for the new phone number?? I've actually never got suspended before, I would like to make one for a back up just in case, but I wasn't planning on using my phone for the stealth account. Just my PC. It's my only source of income at the moment, but the one I have now hasn't been suspended, I got 2 strikes already and would like to make a backup just in case. I don't sell anything infringing anymore on my main one, but I've read horror stories and know how Etsy is. Would just like to be prepared. I know I need more than a new IP. I was just asking in case I missed anything. You lost me after the first sentence lol sorry I'm fairly new and I live in the US, so I have no idea what you're talking about. VPN Subscription - 3 month subscription with IP Burger or 24VC is around 50/60 Cant remember exactly. You can use an online phone service for free or buy an extremely cheap sim card online. Thats if you care about owning the number you sign up with (you should just to be safe). Everything else can be done for free. You will be looking around $100 total. The issue is when you make the stealth account, if you don't get it right first time you will need to pay for an IP refresh from the VPN provider, not expensive but i think they charge 10 or 15 each time. Its an investment, if you sell the right thing you can make the $100 back in 30 mins lol. "This is Christina from Etsy's Trust & Safety team. Thank you for being a member of the Etsy community. Unfortunately, we could not verify the information you provided during the sign-up process for Etsy Payments. There are certain discrepancies between the document you’ve provided, the name associated with your payment account, and/or the bank account on file with your shop. I only do ebay/PayPal stealth. No idea how etsy works. With PayPal the name on your PayPal account doesn't have to match the name on your bank account. I typed a much better reply but it disappeared. My only cost is the cost of mobile data. I use a dongle and buy 3 mobile data sims. I usually make 20 accounts per month at a cost of about £10 in mobile data, which is 50p per account. 99% of the time I will add a bank account verified paypal to ebay and I can start selling immediately. Sometimes I am asked for a card to be attached by ebay before I can sell. I then add a VCC that costs me £2. In the UK you can get free sim cards. This is specific to UK accounts as I don't make US accounts. It's really cheap to do stealth in the UK. Even easy to increase limits. You just need to know how. Lol, thank you. Your reply helped the most.